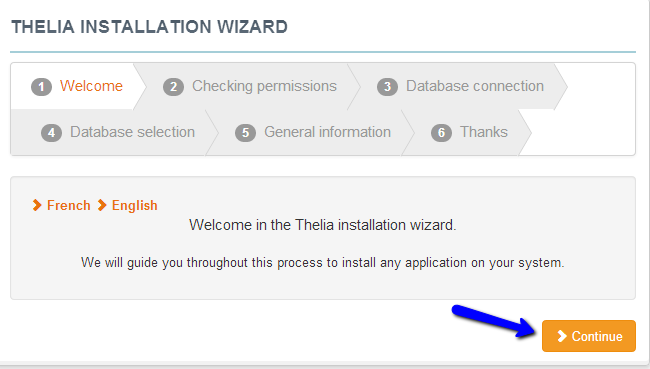 This tutorial will review the process of installing Thelia manually on your account. This allows you more control over the installation process than the automated Thelia installation via Softaculous. 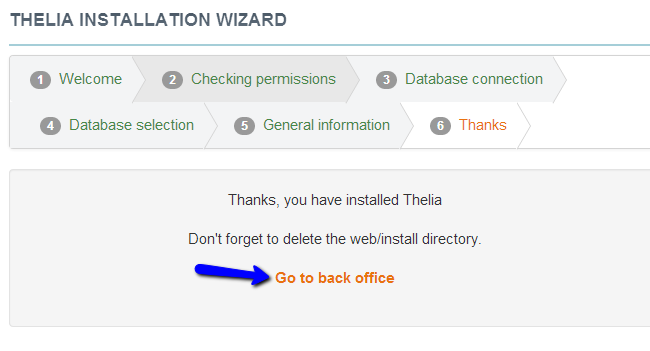 There is an easier way to install Thelia, which is fully automated. For more details on that, check out our tutorial on the Softaculous Thelia installation. The first step of the process is to download the latest stable release of the script on your local computer. You can achieve that via the official Thelia website. Once you download the script’s archive on your local computer, you need to extract it’s contents. You can do so using any available software, such as WinRar. The x.x.x part is the actual Thelia version that you have downloaded. Within this folder, you will notice all of the contents of the script and you need to upload them all to the location on the server, where you would like to install the script. There are three available options for that and we will review them all so you can see which one suits your needs and then proceed further. For the purpose of our examples, we are assuming that your domain name is called example.com. However, you can substitute that with your actual domain so you can get the same result using your details. 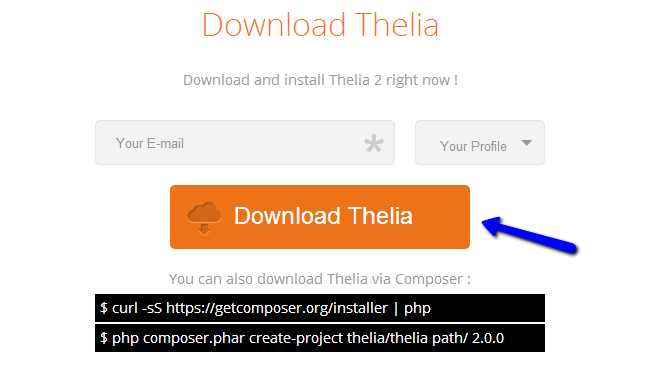 Install Thelia in ROOT - The first option is to upload Thelia directly within the public_html/ directory of your account. This will make all of it’s files accessible directly via your domain. This means that you need to create a “thelia” subfolder within the public_html/ directory of your account. Then, you need to upload the contents of your installation within the new subfolder. This means that you first need to create that subdomain. You can do that via your cPanel. Locate the Domains section and then click on the Subdomains icon. Now, you will have to enter the new subdomain that you want to use. 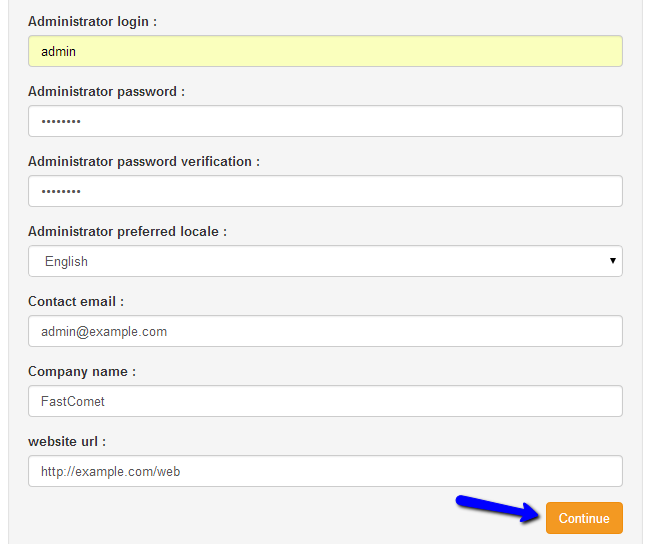 The system will auto-generate the path to the directory used for that subdomain. This is usually a folder of the same name within the public_html/ directory of your account. This will create a folder with that name within the public_html/ directory of your account and you need to upload the Thelia contents in it. The first screen will display a welcome message. Click on the Continue button to proceed. The second screen of the installation process is a system requirements check. Thelia will check if the server meets all of the requirements for the new installation and display the result on the screen. As our servers are fully optimized for the script, you will not have any issues on this step. Click on Continue to proceed. Port - Enter the default 3306 port. The next step is the Database Selection. The system will use the details you have entered in the previous step and then pull up the database, for which the user has privileges. Then, those databases will be displayed in this step, allowing you to choose the one that you would like to set for your website. Select your database and click on Continue to proceed. When you enter the details above, simply click on Continue to proceed. Make sure that you take a note of the admin login details for your website as you will need them to manage your website after the installation. Then, you can proceed to the administrative area of your website by clicking on the Go to back office button on the screen.